VANDALIA — On Tuesday, August 4, neighborhoods throughout Vandalia are invited to join forces with thousands of communities nationwide for the 2015 Annual National Night Out (NNO) crime and drug prevention event. National Night Out, which is sponsored by the National Association of Town Watch (NATW) and co-sponsored locally by the Vandalia Division of Police, will involve over 10,000 communities from all 50 states, U.S. territories, Canadian cities and military bases around the world. In all, over 34 million people are expected to participate in ‘America’s Night Out Against Crime’ on August 4. National Night Out is designed to heighten crime and drug prevention awareness, generate support for, and participation in, local anti-crime efforts, strengthen neighborhood spirit and police-community partnerships, and send a message to criminals letting them know neighborhoods are organized and fighting back. From 6:30-8:30 p.m. on August 4, residents in neighborhoods throughout Vandalia and across the nation are asked to lock their doors, turn on outside lights and spend the evening outside with neighbors and police. Vandalia Division of Police will be hosting a National Night Out Against Crime on August 4 from 6:30-8:30 pm at Vandalia Recreation Center/Sports Complex. National Night Out is also being sponsored by Crossroads Rehab and Nursing, VFW Post 9582, Abbey Credit Union and Dayton Children’s Hospital. 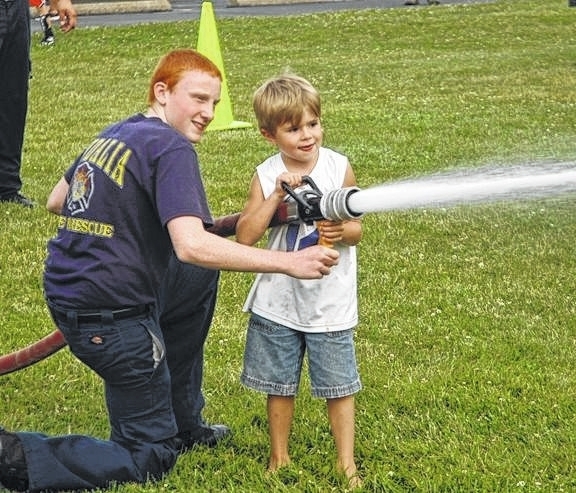 The community and Vandalia police came together in 2014 for the National Night Out. The 2015 event is scheduled for August 4 at the Vandalia Sports Complex.